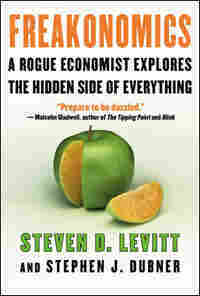 'Freakonomics': Musings of a 'Rogue Economist' Economist Steven Levitt talks about his new book, Freakonomics. A professor at the University of Chicago, Levitt uses statistics to examine matters of everyday life, often with startling results. What motivates people? How do they get what they want? 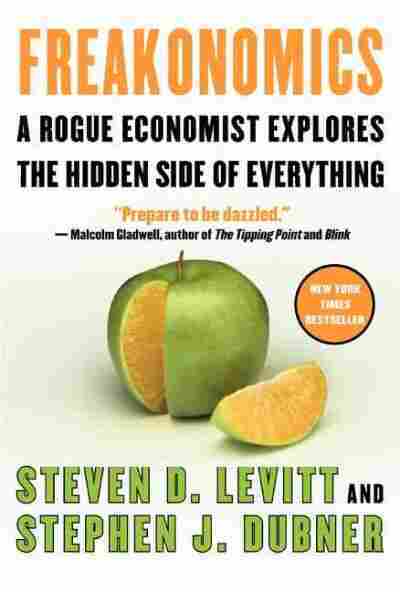 Economist Steven Levitt sets out to explore such questions, along with some of life's riddles, in Freakonomics, co-authored by Stephen J. Dubner. A professor at the University of Chicago, Mr. Levitt uses statistics to examine matters of everyday life: His subjects range from abortion and crime to game shows. Some of the chapter titles from Freakonomics illustrate Levitt's wide-ranging curiosity: "Why Do Drug Dealers Still Live with Their Moms?" and "How Is the Ku Klux Klan Like a Group of Real-Estate Agents?" are two. Levitt talks about his ideas with Scott Simon. Imagine for a moment that you are the manager of a day-care center. You have a clearly stated policy that children are supposed to be picked up by 4 p.m. But very often parents are late. The result: at day's end, you have some anxious children and at least one teacher who must wait around for the parents to arrive. What to do? A pair of economists who heard of this dilemma -- it turned out to be a rather common one -- offered a solution: fine the tardy parents. Why, after all, should the day-care center take care of these kids for free? The economists decided to test their solution by conducting a study of ten day-care centers in Haifa, Israel. The study lasted twenty weeks, but the fine was not introduced immediately. For the first four weeks, the economists simply kept track of the number of parents who came late; there were, on average, eight late pickups per week per day-care center. In the fifth week, the fine was enacted. It was announced that any parent arriving more than ten minutes late would pay $3 per child for each incident. The fee would be added to the parents' monthly bill, which was roughly $380. After the fine was enacted, the number of late pickups promptly went ... up. Before long there were twenty late pickups per week, more than double the original average. The incentive had plainly backfired. Economics is, at root, the study of incentives: how people get what they want, or need, especially when other people want or need the same thing. Economists love incentives. They love to dream them up and enact them, study them and tinker with them. The typical economist believes the world has not yet invented a problem that he cannot fix if given a free hand to design the proper incentive scheme. His solution may not always be pretty -- it may involve coercion or exorbitant penalties or the violation of civil liberties -- but the original problem, rest assured, will be fixed. An incentive is a bullet, a lever, a key: an often tiny object with astonishing power to change a situation. We all learn to respond to incentives, negative and positive, from the outset of life. If you toddle over to the hot stove and touch it, you burn a finger. But if you bring home straight A's from school, you get a new bike. If you are spotted picking your nose in class, you get ridiculed. But if you make the basketball team, you move up the social ladder. If you break curfew, you get grounded. But if you ace your SATs, you get to go to a good college. If you flunk out of law school, you have to go to work at your father's insurance company. But if you perform so well that a rival company comes calling, you become a vice president and no longer have to work for your father. If you become so excited about your new vice president job that you drive home at eighty mph, you get pulled over by the police and fined $100. But if you hit your sales projections and collect a year-end bonus, you not only aren't worried about the $100 ticket but can also afford to buy that Viking range you've always wanted -- and on which your toddler can now burn her own finger. An incentive is simply a means of urging people to do more of a good thing and less of a bad thing. But most incentives don't come about organically. Someone -- an economist or a politician or a parent -- has to invent them. Your three-year-old eats all her vegetables for a week? She wins a trip to the toy store. A big steelmaker belches too much smoke into the air? The company is fined for each cubic foot of pollutants over the legal limit. Too many Americans aren't paying their share of income tax? It was the economist Milton Friedman who helped come up with a solution to this one: automatic tax withholding from employees' paychecks. There are three basic flavors of incentive: economic, social, and moral. Very often a single incentive scheme will include all three varieties. Think about the anti-smoking campaign of recent years. The addition of a $3-per-pack "sin tax" is a strong economic incentive against buying cigarettes. The banning of cigarettes in restaurants and bars is a powerful social incentive. And when the U.S. government asserts that terrorists raise money by selling black-market cigarettes, that acts as a rather jarring moral incentive. Some of the most compelling incentives yet invented have been put in place to deter crime. Considering this fact, it might be worthwhile to take a familiar question -- why is there so much crime in modern society? -- and stand it on its head: why isn't there a lot more crime? The foregoing is excerpted from Freakonomics by Steven D. Levitt and Stephen J Dubner. All rights reserved. No part of this book may be used or reproduced without written permission from HarperCollins Publishers.